Michelle and Jeremy love color and bold design but how can the new parents blend style with their growing family? Watch Unboxed with Nikki Chu tonight at 8PM ET! 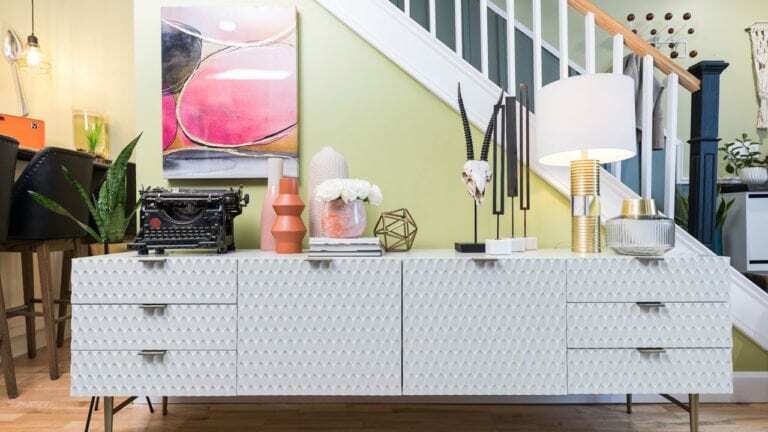 Nikki takes over their space and redesigns their living room with flare and style that will be trending forward. Michelle and Jeremy love color and bold design but how can the new parents blend style with their growing family? Watch Unboxed with Nikki Chu tonight at 8PM ET!